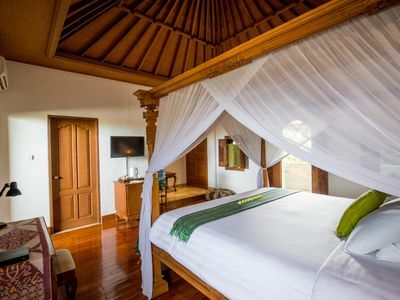 Our luxury two bedroom boutique villa cater to a maximum of four adults and a maximum of one child free if under 12 years of age, but cannot exceed five guests in total (we are not able to handle more than this) and we have one single folding bed per villa. 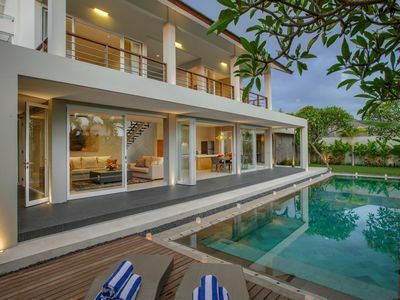 This two bedroom luxury boutique villa have a down stairs living room, kitchen, air conditioned bedroom with a built-in king size platform bed and bath room, and an upstairs air conditioned bedroom with a built-in king size platform bed, bathroom and private balcony. 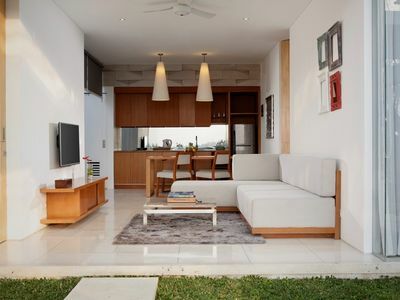 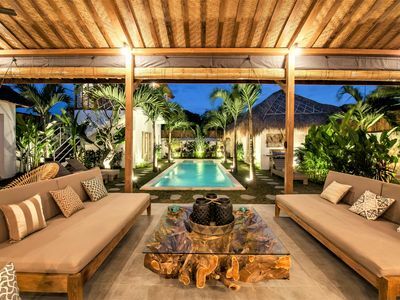 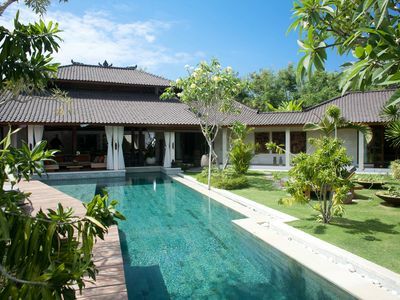 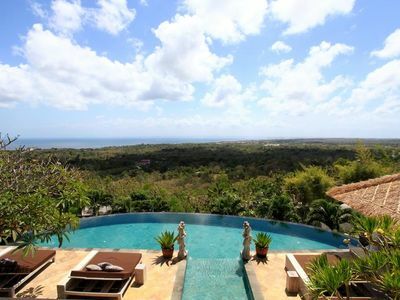 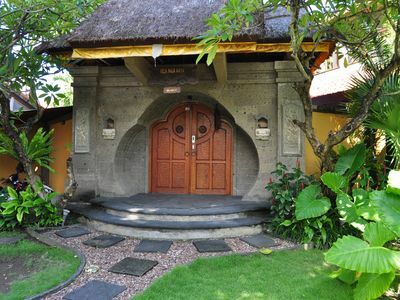 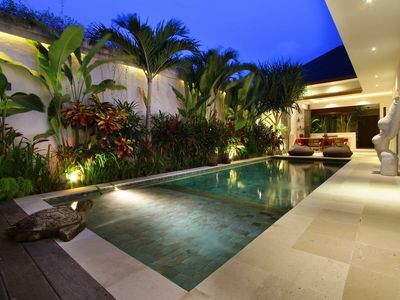 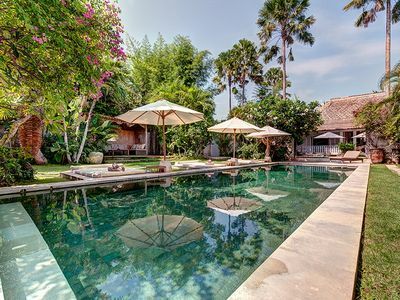 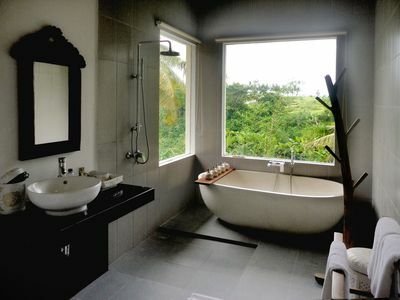 Villa Naga Maya is strategically located in Legian, about 20 minutes up the beach north of the Airport. 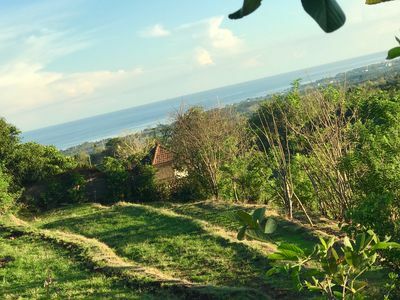 There are many local restaurant establishments on Legian Beach and within walking distance such as Tekor Bali, Mozzarella, Lanai, Sang Ria, Restaurant Italiano at the Kumala Beach Hotel, Sea Side Restaurant and the new Marzano’s (specializing in Italian Pizza) just around the corner. 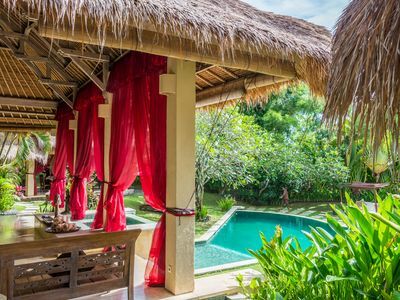 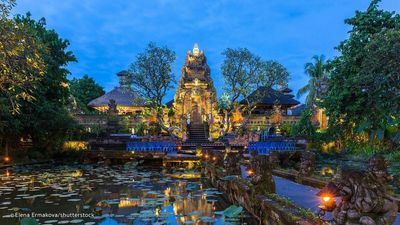 We are also desirably located right in the midst of the best shopping in Bali and all the exotic nightlife you could ask for. 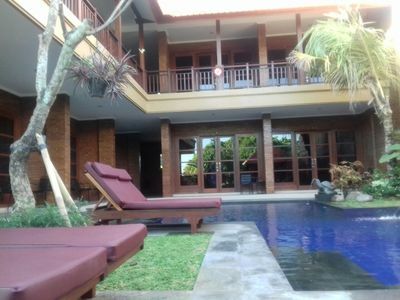 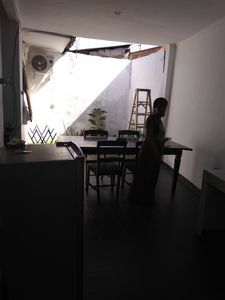 While we are located close to the beach (about a 5-minute walk) and the action of Legian, we are off street with easy laneway access, so privacy, security and quietness is insured. 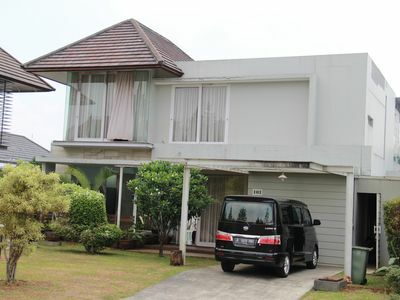 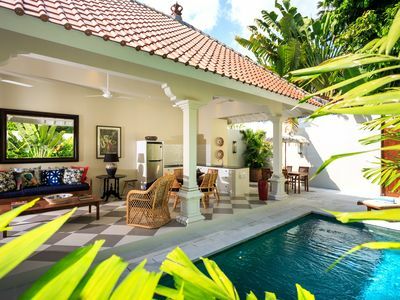 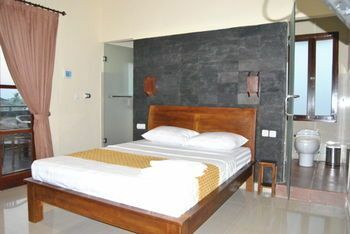 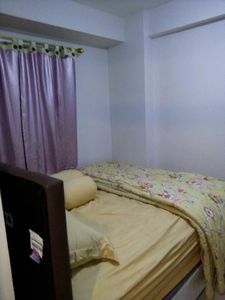 3 Bedroom at 4 Bedroom Pool Villa near FINNS Club, daily housekeeping service.